This blogpost was co-written by Lim Jia Yi and Pang He Xuan, both students at Temasek Junior College, during their internship at Science Centre in November 2015. Are you curious about space? 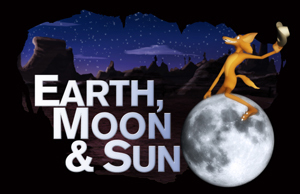 The Omni-Theatre’s new “Earth, Moon & Sun” digital show will bring you past the skies and into the galaxy. Here are 7 reasons why you should catch the show. Screened on a curved screen, the movie will make you feel like you are under a sky full of stars. The images fill the whole optical range, immersing you in the galaxy and providing a ‘virtual reality’ experience. Sit back, relax, and enjoy this incredible experience. The one and only dome-shaped theatre located in Singapore, available at the Omni-Theatre. You’ll be able to giggle at the amusing Coyote as he clears his misconceptions and fires questions at the wise narrator. Getting charred by a cannon and flying with birds to space are just a few of the Coyote’s hilarious moments! Complex information is delivered through simple use of language that allows children to understand easily and remain engaged at the same time. The movie clears common misconception which many people have. Who knows, maybe you have them too! 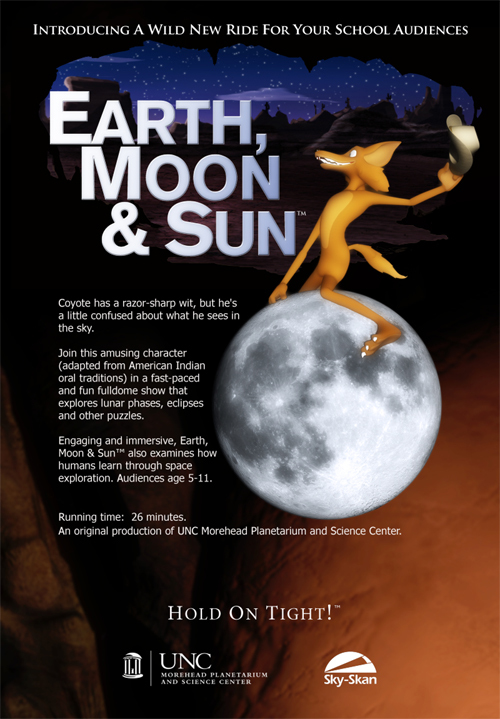 Learn more about how the craters of the moon are created, some ancient stories about the Earth, Moon, Sun, and their cycles of rotation. You’ll find out when the first spaceship was launched and get to watch a short video about why it was launched (hint: it all began with the dream of a young president). 7. Cute character to accompany you! But above all else, the Coyote who will be jumping into the journey with you is the most humorous and adorable. With these 7 reasons to watch “Earth, Moon & Sun”, what are you waiting for? Head down to Science Centre Omni-Theatre right now to catch the movie! Previous articleEVENTSSo much to see and do @ Science Centre Singapore this year end!